This weekend was perfect for grilling! My husband and I were bored of the same old burgers and dogs- so we looked to eMeals for inspiration! 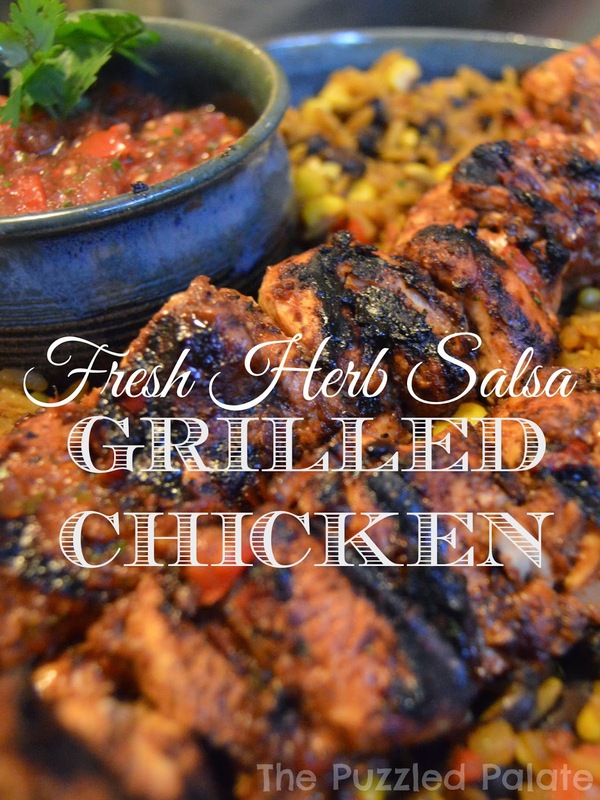 With so many gluten-free options to choose from, we chose to go with something packed with flavor that we could throw on the grill- grilled chicken with fresh herb salsa! Making the fresh herb salsa was super simple, just toss the ingredients into a food processor or blender and pulse a few times! When you are ready to marinade the chicken, you just add part of the salsa to garlic, red wine vinegar, olive oil and chili powder. 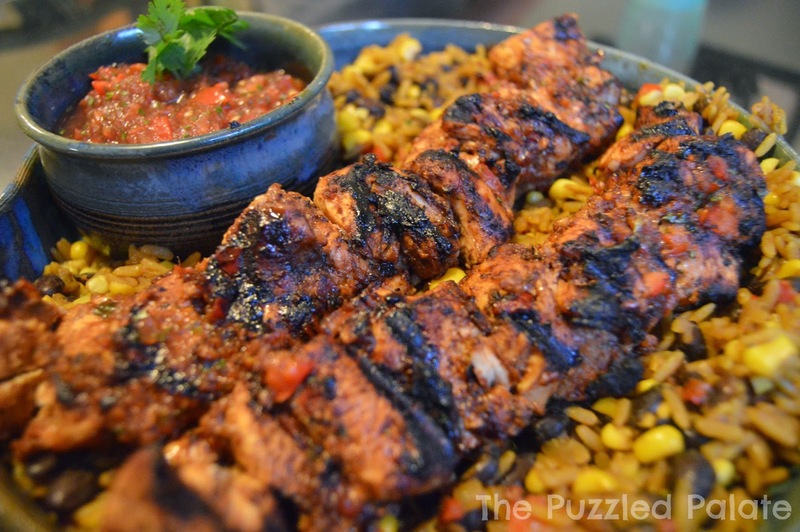 We decided to cut the chicken into kabob sized pieces. With the smaller pieces, it allowed the chicken to soak in more of of marinade in a shorter time. All that was left was to crank up the grill and throw together a side of yellow rice and beans. Don't wander too far from the grill, the chicken will cook fast! To keep the meat from getting dry, I suggest basting it with the left over marinade. I had 3 hungry family members waiting for the photo session to be done to serve their plates! This recipe was simple and delicious. My hubby described it as a rustic meal that you could get at a restaurant. As much as I want to take credit for the compliment, I have to thank eMeals.com for the amazing dinner! Peanut gave this meal TWO thumbs up! Also- after his first bite, he exclaimed "YUM!" Such and adorable food critic! If you want someone else to do the meal planning for you, you can sign up and get and more easy, healthy meal plans sent straight to your inbox! 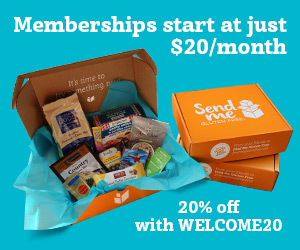 Check out eMeals now and get a free 2 week trial! Disclosure: I am a member of the eMeals Blogger Network and this post includes affiliate links. All opinions are 100% my own and honest. Have you have a chance to fire up the grill recently? Great recipe card. I love that idea! that looks delicious. We cook on the grill all the time. In fact last night I made pizza on the grill! That sounds so good! I have never tried it- but I plan to soon! Yum! I love all kinds of salsa on everything! Especially with cilantro! That chicken looks AWESOME! I would be making that all the time, it's the perfect grilled dinner! I can practically taste the flavor through the screen. This looks just so, so good! I love the ingredients you used. I've somehow missed this recipe on eMeals. (I love their recipes!) This looks perfect for summer. We found it under the gluten- free meals! We had to get rid of our grill but this recipe sounds great. We're gluten-free in our house so I'm always looking for recipes. I love salsa! This looks like a great resource for cooking dinners, I must check it out! This looks absolutely delicious!! I can't wait to try it this week! This looks amazing. My mouth is watering. I must make this soon. I've seen a lot of people re-create meals from E-Meals but none of them have ever looked THIS good! WOW! This is something my family would love to have for dinner. Mmm! Everytime I hear chicken and salsa in the same sentence, I know i'm in for a treat! Thanks for sharing! Sounds great to us. That looks real tasty. This does sound great. I should make this for my kiddos. I pinned it! This looks very good omg I feel like I wanna make this now but its 12:44am lol! I am always commenting late- and I go to bed STARVING! Why would you gain weight? The chicken is grilled and all the veggies are fresh! Gaahhh! That chicken looks SPECTACULAR! I love grilled chicken anyway....we have to try this! Great recipe! Thank you for sharing i will have to make this as it looks so good. These are such great and simple ideas. Thank you for sharing and he is adorable! What an awesome flavorful dish. I love anything I can grill! Oh that looks so delicious. Can't wait to try it!! I like that fresh herb salsa on there. I think it's nice that gluten free is getting so good with the flavors. It makes it so much easier for those that have to eat it, I'm sure...and wonderful too for those who want to eat gluten free! That looks and sounds absolutely amazing. We're going to have to try that sometime. It came out beautiful! I love the extra char! Yum! That chicken looks divine. Too bad my husband got rid of our grill. This looks amazing! I love fresh salsa! Now that is one delicious looking meal. We love grilled chicken at our house and this looks like a keeper. Wow that looks really good. 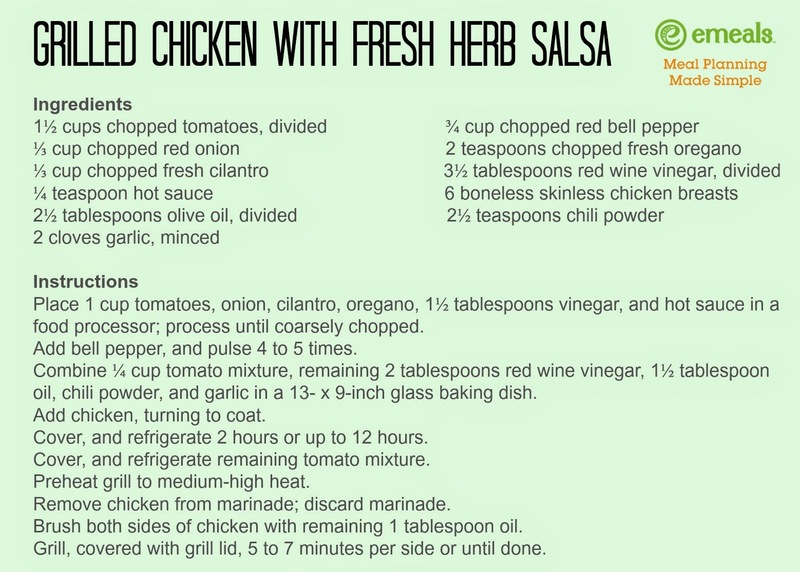 I'm definitely going to be trying that fresh herb salsa. 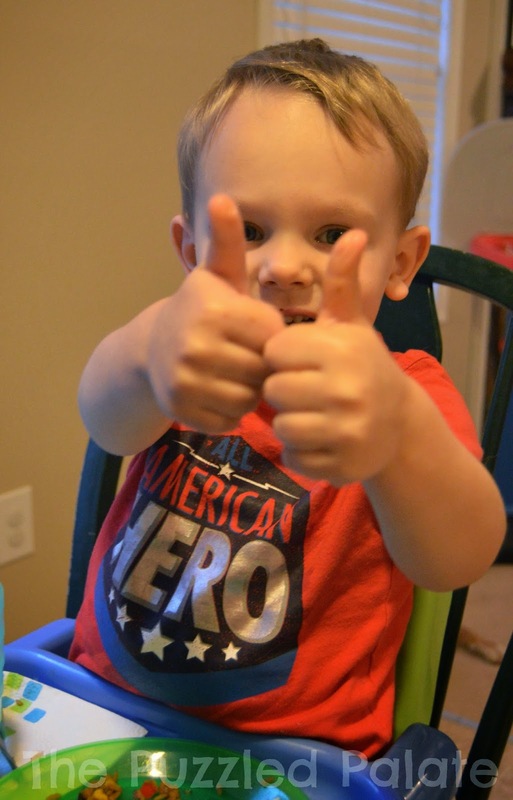 I like recipes that get two toddler thumbs up. This one looks really good! I thought we were going to fire up the grill this past weekend. Turns out no one knew how to use it. This would have been tasty on it for sure. Oh I wish that I had made this for dinner tonight! Looks great! I love grilling in the summer. This looks so delicious! 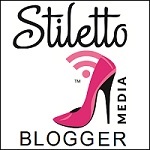 I have pinned and definitely plan to use sometime very soon. We've been grilling a lot this summer. This recipe looks super delicious! That chicken looks unbelievably good. It's cool that it's gluten free for those who need their meals that way, too. That looks delicious! Perfect summer eats! That looks amazing! Can't wait to try this on the grill. Thanks for the handy recipe card! 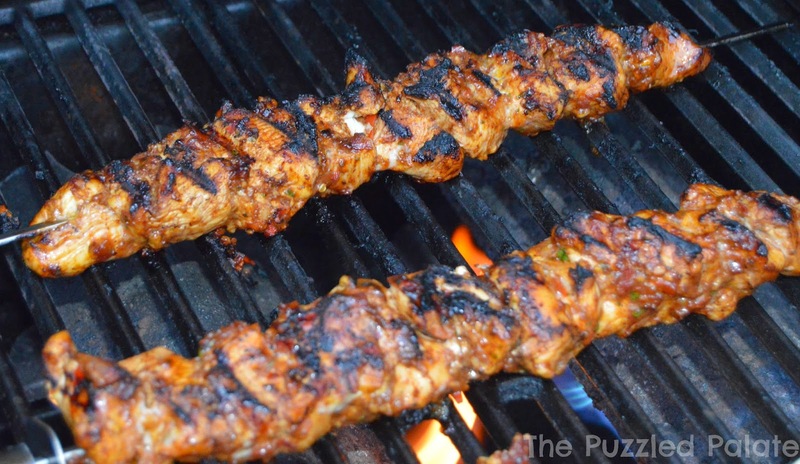 This looks awesome and perfect for summer grilling! I love finding new recipes! This looks so yummy! My entire family would love this! 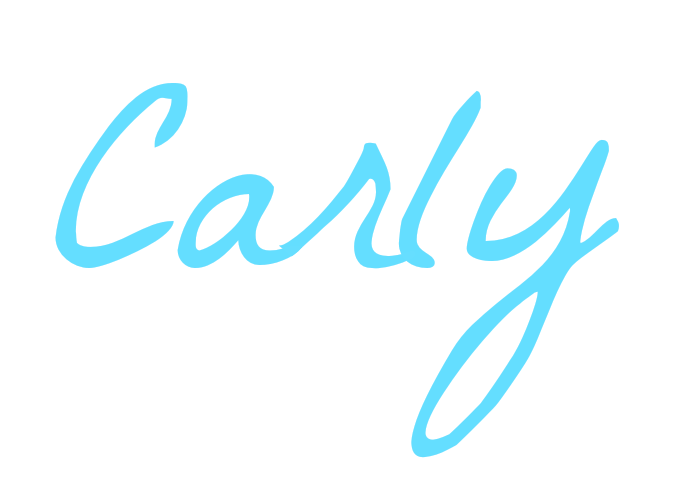 Pinning this for later! Oh man this looks so good, we are grilling tonight, may have to make this. So fresh, we are always looking at new chicken recipes. This recipe sounds so delicious. I am going to have to try it with my family. Love emeals! I get the paleo one, and used to get the classic menu. You do have an adorable food critic there. I still have yet to check out emeals. Will have to give them a try one day.